Amitabh, in his blog said that at the age of 75, he wants peace and freedom from prominence. A day before Amitabh Bachchan's name appeared in Paradise Papers leak among 714 Indian, he expressed pain on being dragged into scams and leaks, in his blog. Paradise Papers whose leaked documents shocked the world is a cache of 13.4 million data that reveal the offshore accounts of the world's elite in tax haven. 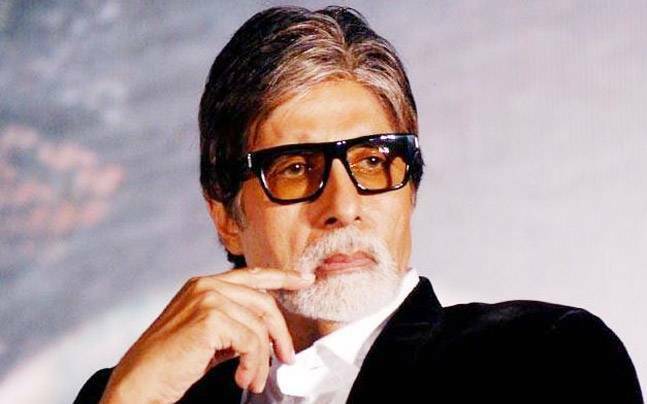 Amitabh Bachchan is super active on social media and often put forward his views and thought via Twitter and Facebook. In his blog written on November 5, the megastar begins with subjects on religious beliefs but ends it with some of the big scandals which had his name. Amitabh says that at the age of 75, he wants peace and freedom from prominence. He says that he do not seek headlines as he does not deserve them. First, he wrote on the notice served to him by BMC on illegal construction and media allegations against him. Speaking about media trial and issuing statements in media after allegations, he said,''if there is accusation, at times, I would prefer to correct the manner .. at times it is prudent to remain quiet .. the point is, does the issue gets resolved by response to media or not .. on matters such as the one in question it shall be the Agency, the System that shall resolve it .. not the media''. He went on to talk about infamous Bofors scandal that occurred between India and Sweden during the 1980s and 1990s. In the scandal, many personalities were accused of receiving kickbacks for winning a bid to supply India's 155 mm field howitzer. The actor said that for years he and his family were grilled and declared traitors and humiliated but finally they won in the court of law. ''For years we were grilled, declared traitors, abused and humiliated by the hour for several years .. when it became unbearable, we moved Court in the United Kingdom - for the requirement of speedy Justice .. we moved against a UK paper and won .BUT surprisingly those that accused us for years, never did come to the Courts of Justice to verify or justify their allegation,'' he wrote. On the professional front, Big B announced his next ambitious movie Brahmastra directed by Ayan Mukerji on his birthday.